As someone that constantly uses his phone throughout the day, but also tries to conserve battery, I find it frustrating at times to have to either slide-to-unlock or enter in a pattern each time I pick it up. You know the drill: grab phone for a few seconds to check something, enter in pin/pattern/slide, perform task, then tap the lock switch to shut the screen off when finished to save juice. Well, what if this series of events could be lessened? 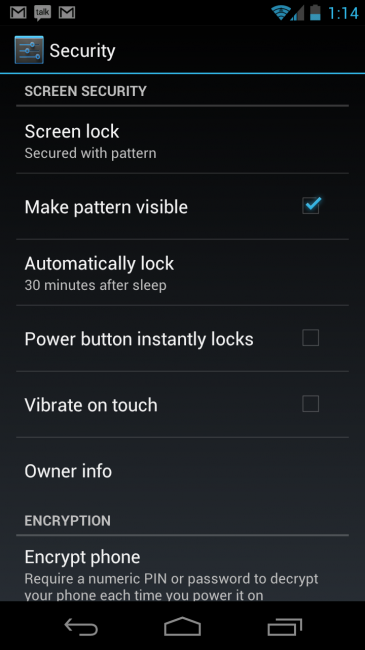 In Android 4.0.4 (sorry stock LTE Nexus owners), it appears that it can be with a simple toggle labeled “Power button instantly locks.” From what we can tell from the reddit thread we discovered this tip at, some OEMs have been using a similar feature in their skins, but stock Android has yet to adopt it until now. What’s the point of it? 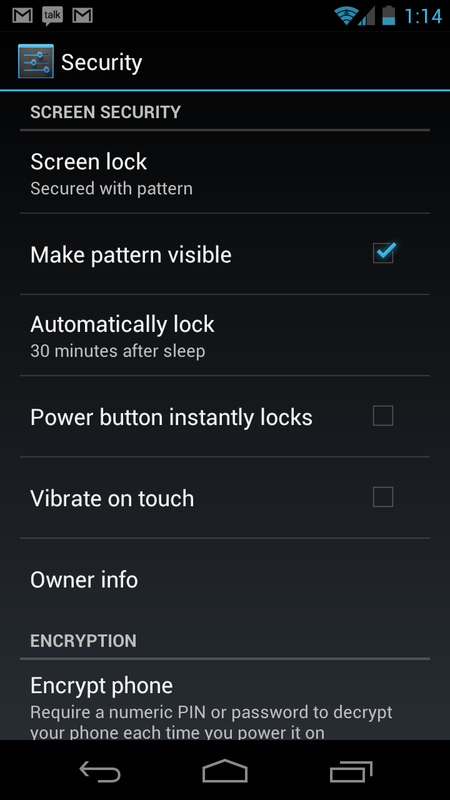 If set up properly, you can put your phone to sleep for up to 30 minutes without ever locking. So while you sit at your desk all day during work, you can simply tap the lock switch to awaken your phone rather than have to deal with an unlocking method. Now, I know that there are various 3rd party apps out there that do this, but to have it built directly into the OS is a bonus.